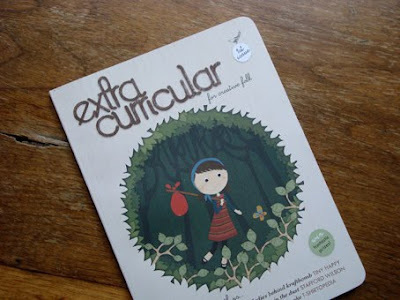 I was lucky enough to get a copy of "Extra Curricular - for Creative Folk" from my very good friend Prue in Auckland. It's the very first issue. It's a magazine about people doing exciting creative projects, part time and full time. Artists, crafters, photographers and illustrators - mostly from New Zealand. And go here to see their blog. Thanks heaps and heaps Prue.